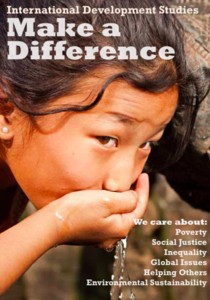 International Development Studies (IDS) is an interdisciplinary major that challenges students to explore the causes and consequences of processes that promote some individuals, communities, and nations, and exclude others. IDS students are prepared for citizenship in an increasingly interdependent global community and are encouraged to envision paths towards a transformed, just world. The IDS program focuses on development processes at the global, national and community levels, but gives particular emphasis to development at the community level and to the work of non-governmental organizations and popular movements. International Development Studies can be taken alone or it can be effectively combined with another program at The University of Winnipeg, such as Anthropology, Conflict Resolution Studies, Economics, Environmental Studies, Indigenous Studies, Politics, or Sociology. The 4-Year IDS major is designed to serve students who plan to work in the field of development, whether overseas or in North America. It also qualifies graduates for further studies in IDS or a related field. The 3-Year IDS major is designed to serve students with an interest in international issues, who intend to pursue related professional degrees such as law, journalism, nursing, education, etc. This degree will also support you in attaining an entry level position in the field. The BA minor in International Development Studies is designed to serve students with an interest in international issues who are completing majors in a related field such as conflict resolution, economics, environmental studies, gender studies, politics, etc. In 2006, Louise Simbandumwe, a visiting academic, undertook a research project to identify key skills needed to engage in International Development. Download a copy of this report. 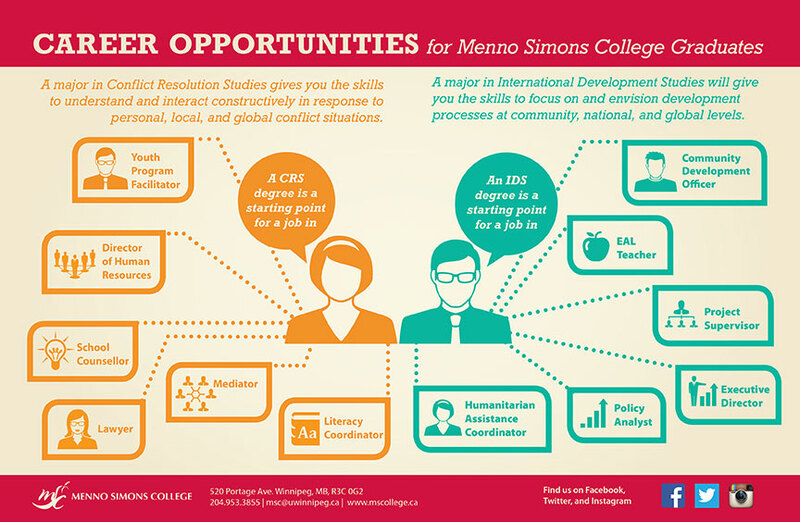 To learn more about International Development Studies at Menno Simons College, please contact our Menno Simons College Academic Advisor, Gina Loewen at 204.953.3848 or g.loewen:@:uwinnipeg.ca.